I can actually call this an art quilt now. 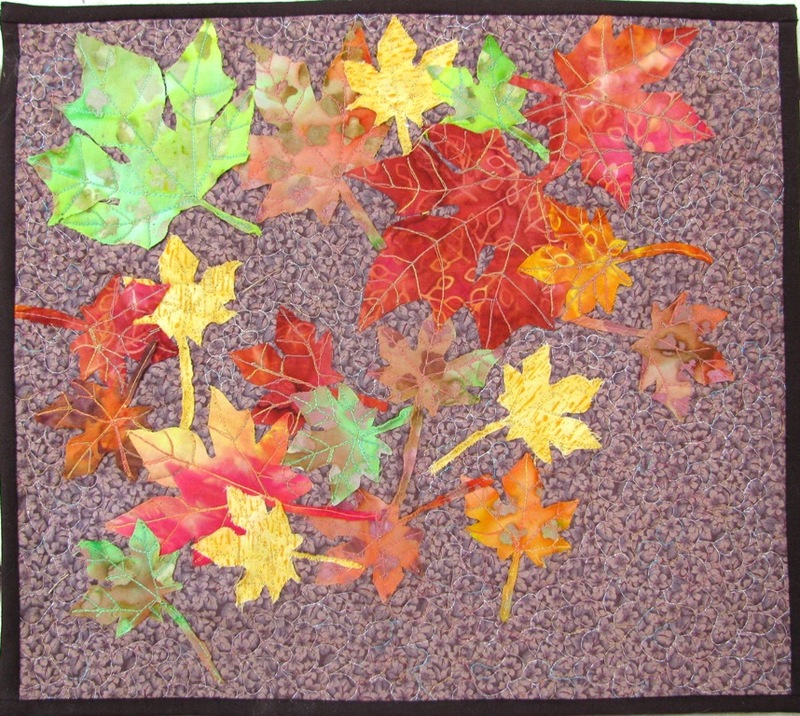 I spent time arranging my fall-color leaves on a fabric canvas. 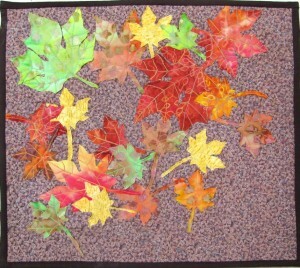 Then, using thread painting, I added veins to the leaves and pebbles to the background. It’s a nice, quick project that came out well. I have been quilting for 18 years and have decided to share my fiber art with a wider audience. Visit my site and enjoy!